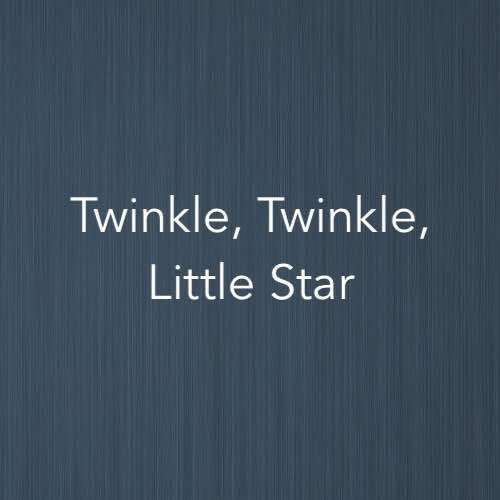 Twinkle, Twinkle Little Star is a popular lullaby. It is sung and played throughout the world. 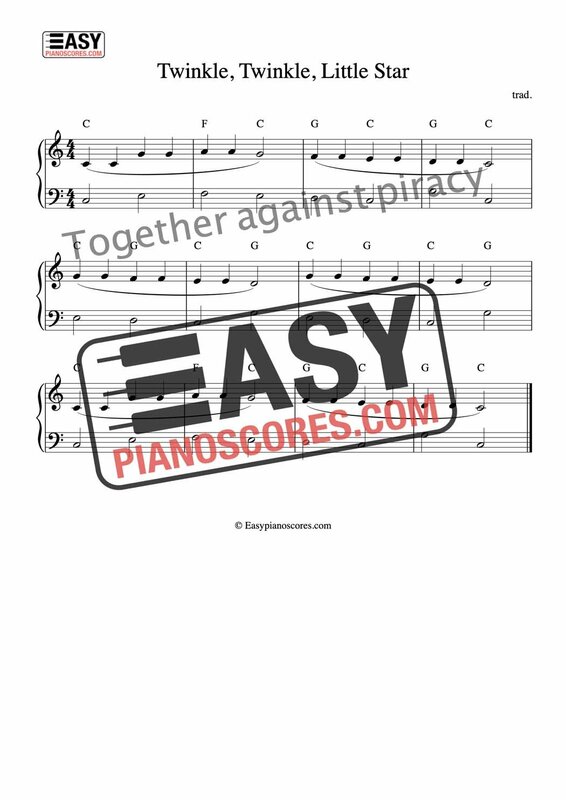 Our arrangement of the song is simple and easy. 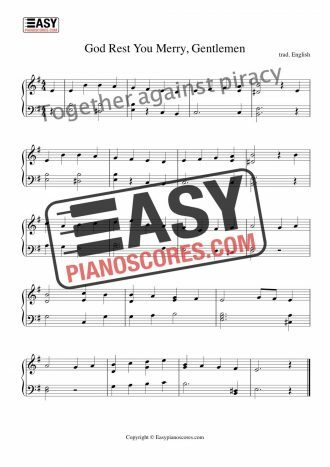 Yet the bass voicing, consisting of only five different notes creates a very nice-sounding accompaniment to the melody. Beginner level note reading skills.